Aut Even Hospital had the pleasure of hosting a presentation by Professor Philip Glasgow. Phil Glasgow was the Head Physiotherapist of the Great Britain 2016 Rio Olympic Team and part of the Physiotherapy team for the London and Beijing games. 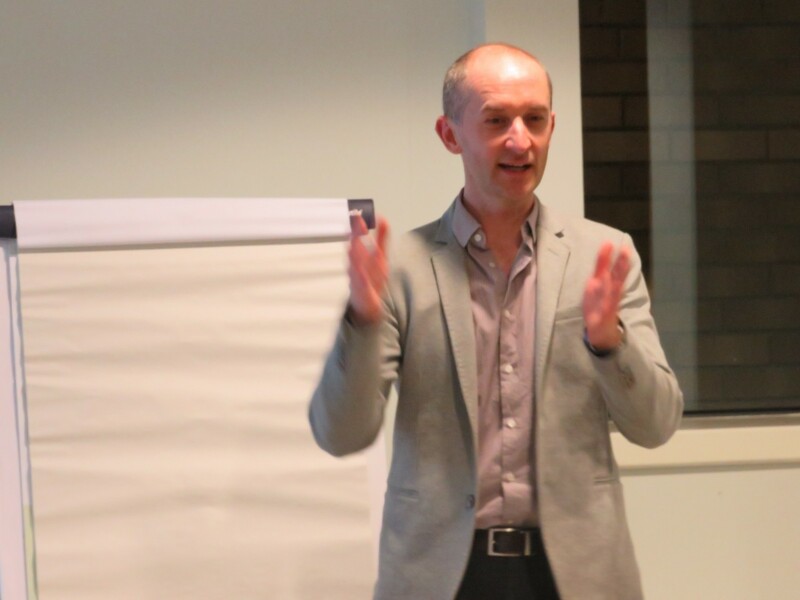 He gave a detailed presentation on his experiences of the Olympic Games and the principles of leading a high performing team. Phil Glasgow gave an account of the extensive selection process for the backroom team and the logistics in bringing a team of 541 athletes in 26 sports to the Olympic Games. Phil is head of Sports Medicine at the Sports Institute Northern Ireland. He has extensive experience in high performance sport having worked with athletes from a wide range of sports at numerous major international championships. Phil is also a visiting professor at Ulster University. He regularly presents at international conferences and lectures on post-graduate university programmes across the UK and Europe. 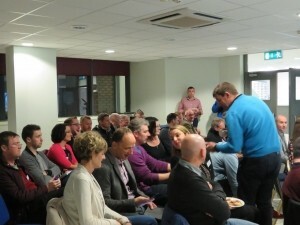 The event was attended by Consultants, GP’s, Physiotherapists and a wide range of people involved in clubs and teams from the area. 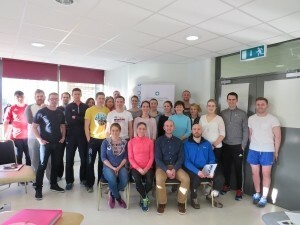 Phil Glasgow also delivered a sold out course to physiotherapists over Saturday and Sunday in Aut Even Hospital the weekend was organised and hosted by the Aut Even Physiotherapist Department. It was a great honour for Aut Even Hospital to host such an event. Phil was extremely well received. Thank you to all who attended over the weekend.